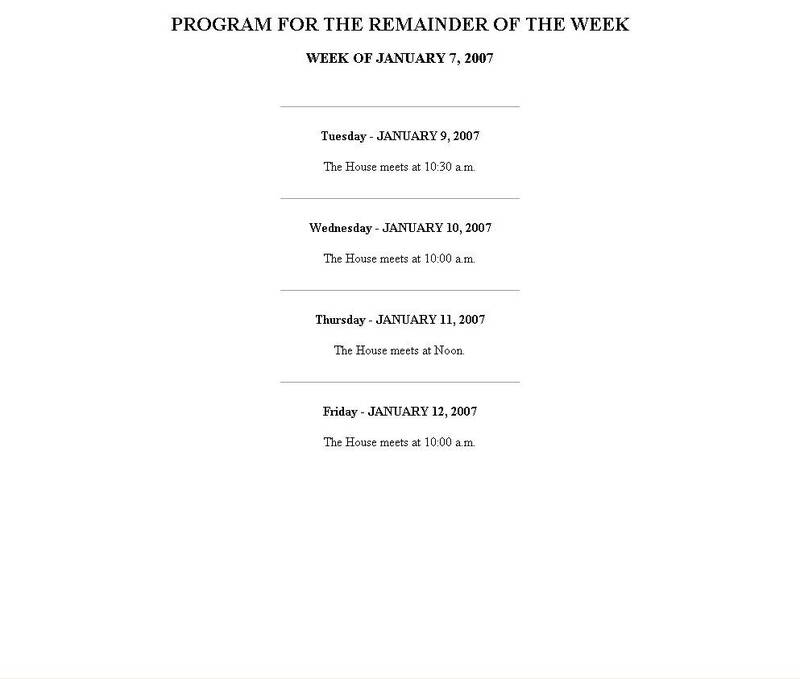 The pledge that congress would meet with that ever-so tough ‘five days a week’ schedule, broken after the first week! Reports are that the day was scheduled off due to some college football game that’s of great interest to the members of congress—ah yes, there it is, the Florida Gators vs the Ohio State Buckeyes, played this evening. Gosh, it sure would be handy if we all could just schedule the day off whenever there’s an "important" event due to take place. I think I’ll officially schedule tomorrow off for myself so that I can pick some daisies. Politicians. Ya gotta love ’em. Or do you? Thanks for picking up on that, It wasn;t really reported was it….first 100 hours of the same old crap is all I can say.